In 2016, John was elected to the Senate representing the 15th Senatorial District, which covers most of Dauphin County and all of Perry County. 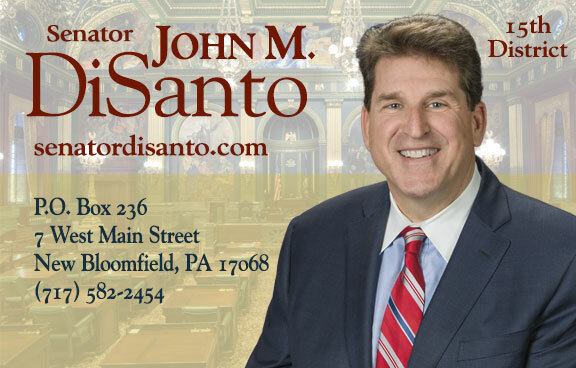 Please join me, Senator John DiSanto, for a live telephone town hall to discuss important state-related issues impacting you and your neighbors in the 15th Senatorial District. This type of meeting allows you to listen in and ask me questions from the comfort of your own home via your telephone or live audio stream. Sign up here to register and receive a call for my next telephone town hall. I look forward to hearing from you.